This is the easiest bicycle tour that we offer. 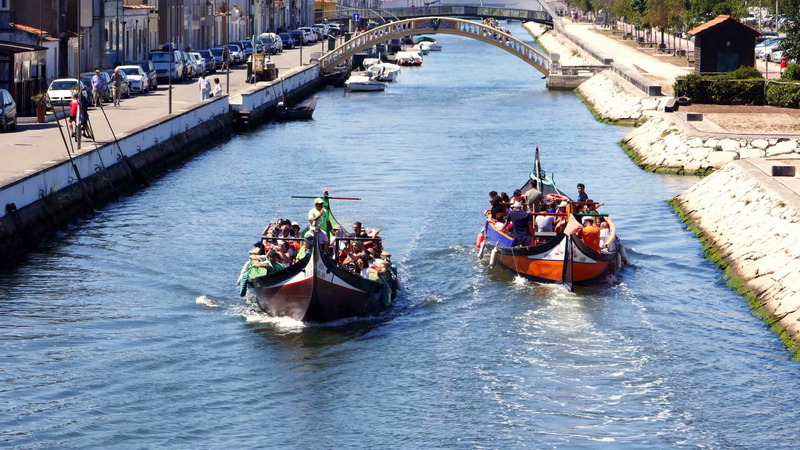 This hybrid bike tour starts in Porto and ends in Aveiro. 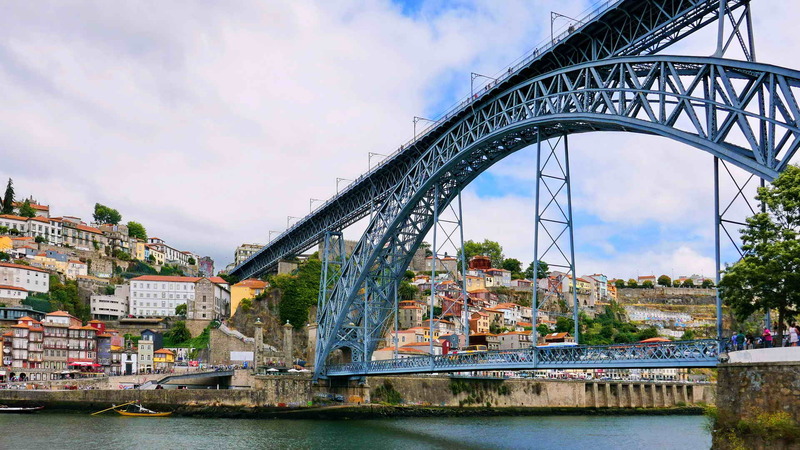 You will have the chance to admire the beautiful river front of the second biggest city of Portugal while you experience a boat tour on Douro river. 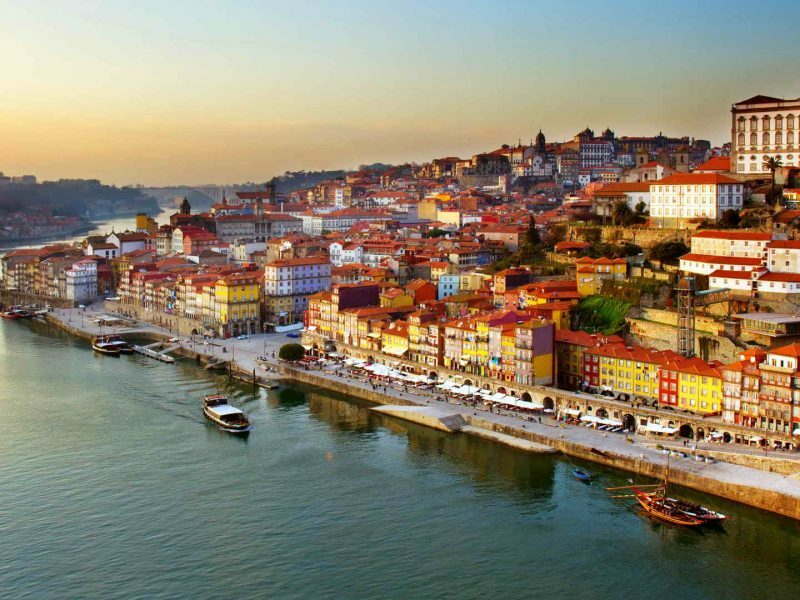 Port wine makes the city of Porto well-known all over the world and you will have the opportunity of learning a bit of the history of this famous wine. 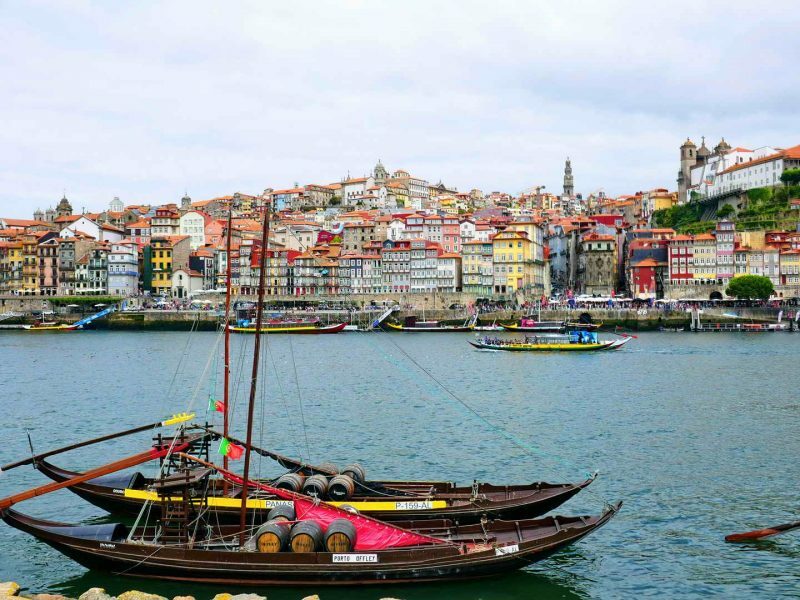 Douro river starts in north of Spain, but it is here, in Porto, that it meets the sea, and this beautiful and long river was used for many and many years to transpor the wine from inland to the cellars in Porto area to make the famous Port wine. 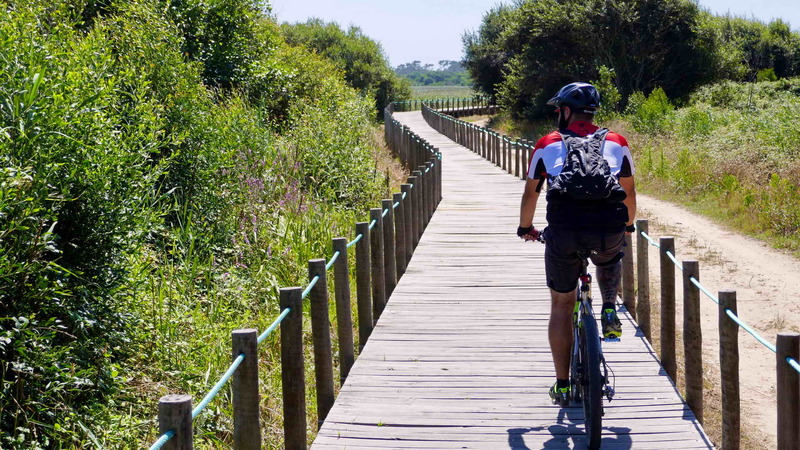 You will cycle along bike paths along the coast and visit many beaches of the north of Portugal, always along the Silver Coast. The route is very easy, scenic and relaxing. 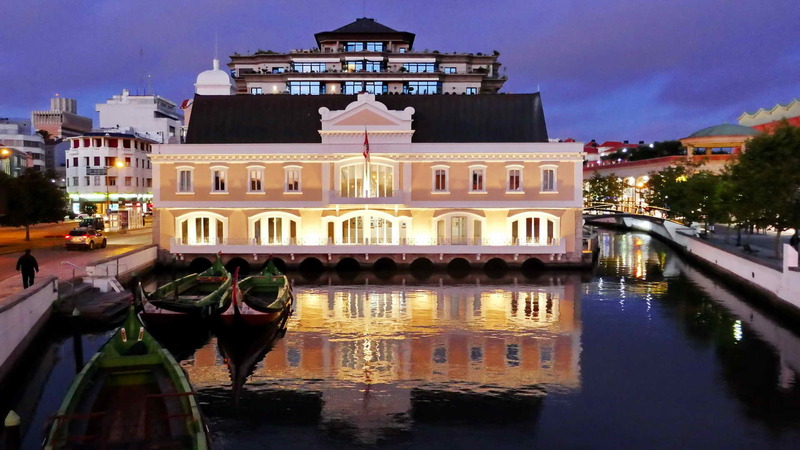 You will visit a beautiful place with some very interesting houses which are the result of the transformation of old warehouses used to keep the fishing gear. 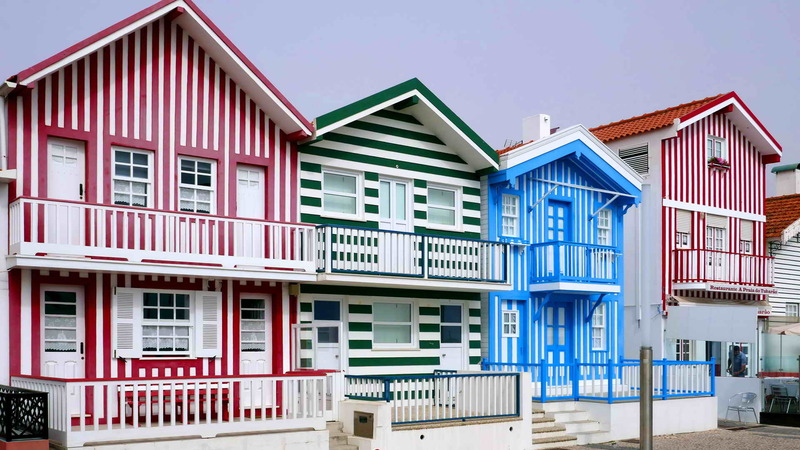 Today these small houses with their colorful striped façade are the vacation place of many families and it makes a very unique place in Portugal to be visited. 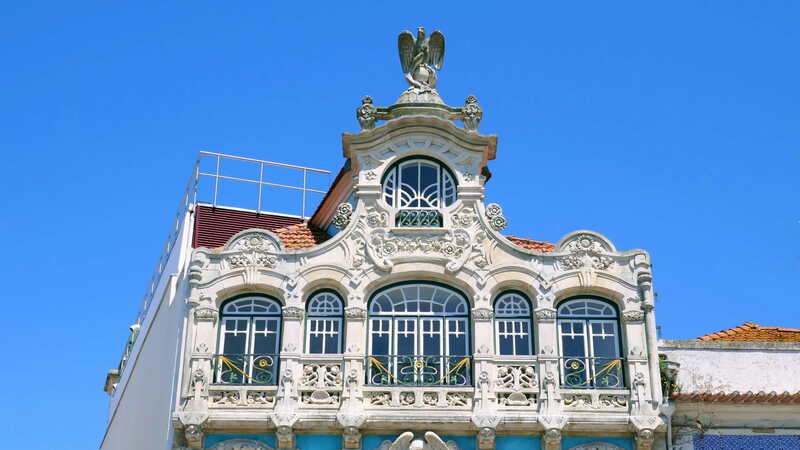 The tour ends in Aveiro, a city on the west coast of Portugal known for its Art Nouveau buildings and its enchanting lagoon. 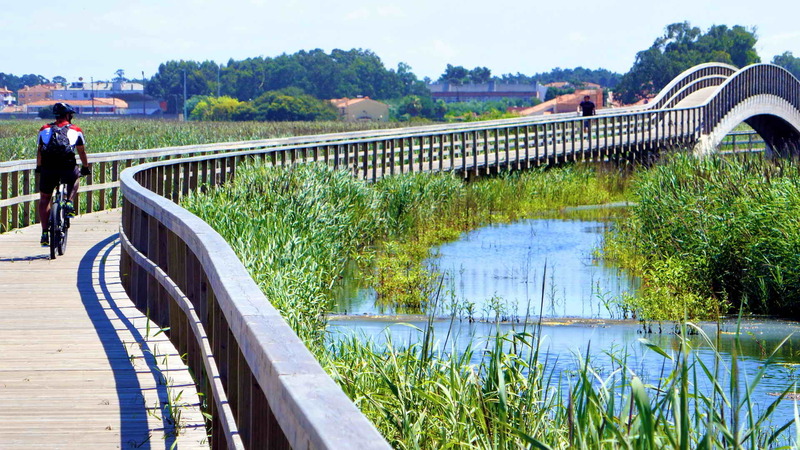 This 45-kilometer-long lagoon stands as one of Europe’s last remaining untouched coastal marshland. 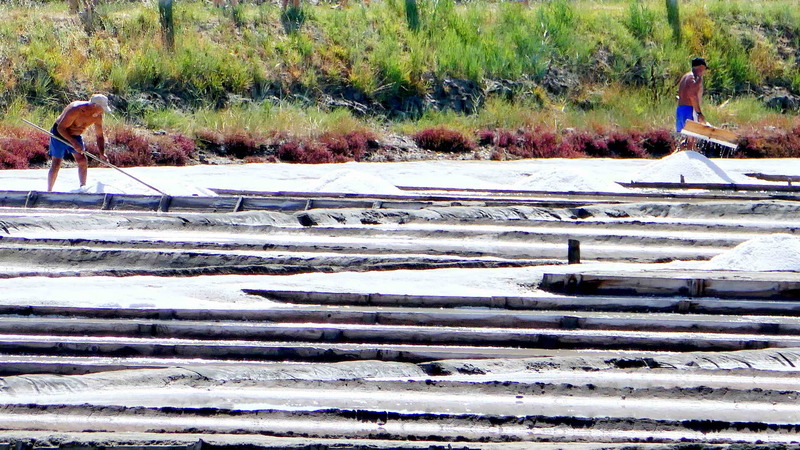 It is also a haven for numerous bird species. 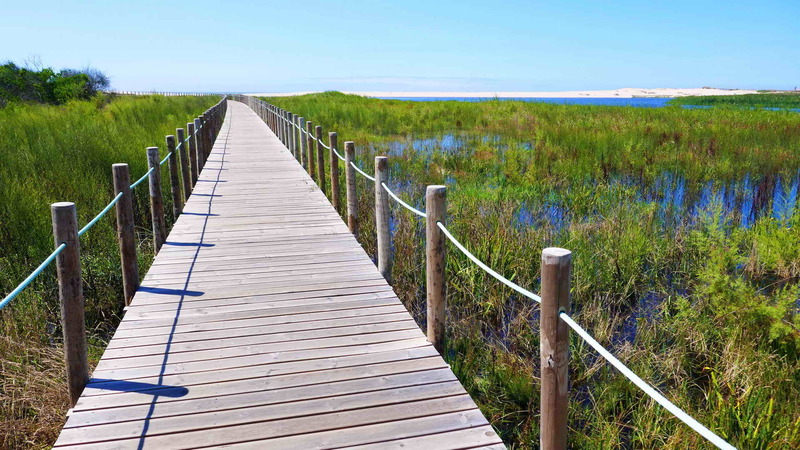 The locals call this rich lagoon Ria de Aveiro. 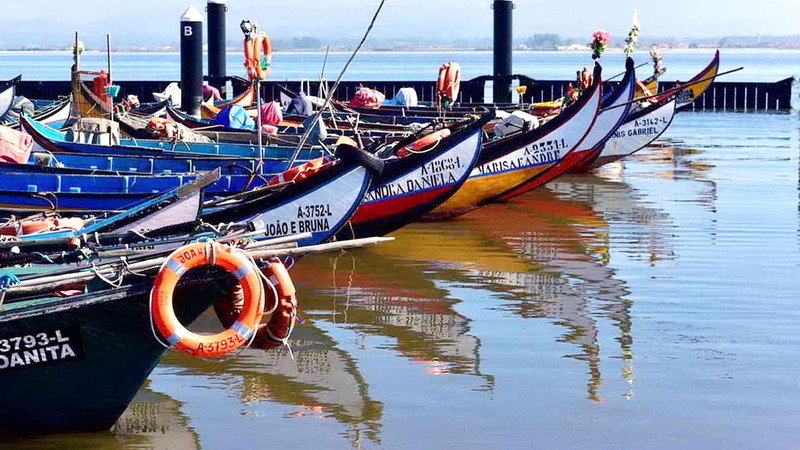 Tourism and aquaculture are the mainstay of the Aveiro Lagoon region. 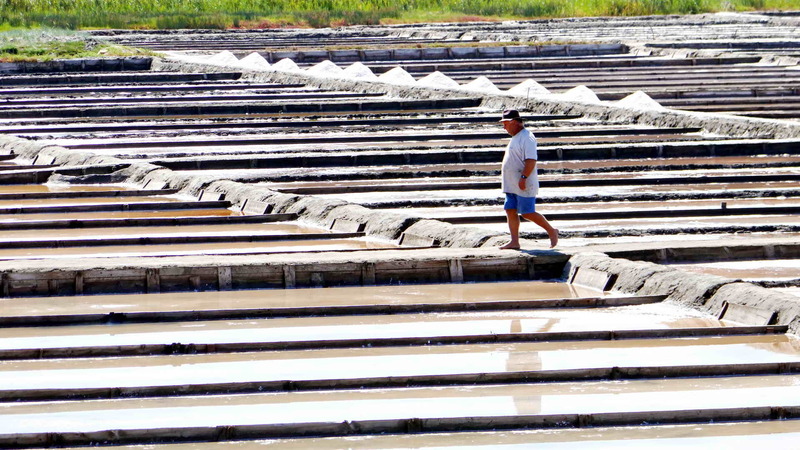 It is also renowned for its artisan fishing and as a center for the collection of Flor de Sal, an expensive salt variety. 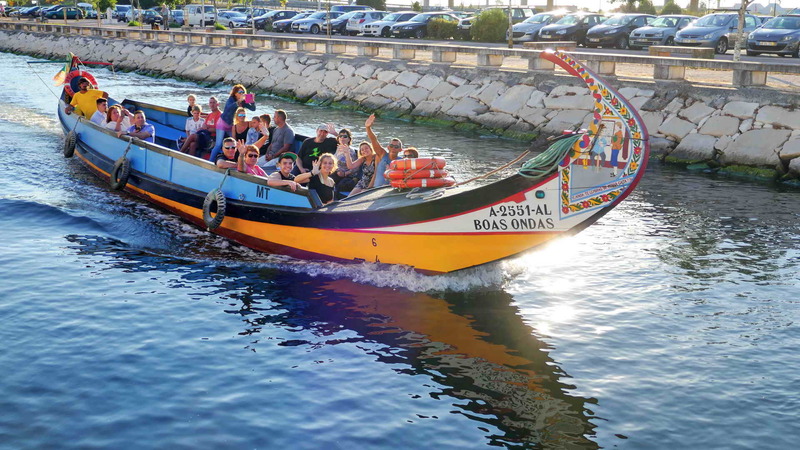 The boats that in the past used to collect the submerged aquatic vegetation (Moliço) to be used in agriculture, today are transformed into bright colored painted boats that cross the lagoon full of tourists. 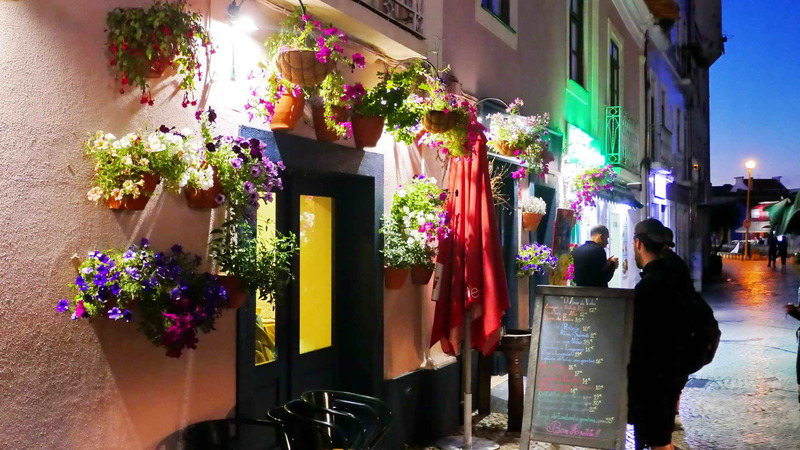 7-day Hybrid Bike Tour with a Guide | Superior quality bicycle rental | Transfers from and to Porto or Lisbon Airport | Accommodations (6 nights): two five-star hotels, three four-star hotels, one Pousada | Double bedroom occupancy | 6 Breakfasts | 6 Dinners (including our famous wines and lovely desserts) | Daily energy-bars and water | Luggage transport from Hotel to Hotel | Documentation about PortugalBike Tour | Personal Accident Insurance and Liability Insurance | First-Aid assistance on location | Techno-Mechanical Assistance | Permanent Backup Vehicle | Visit to one of the cellars of Port wine | Boat tour on Douro river | Visit to a Museum Ship | Visit to a Ceramic Museum | Visit to the Salinas | Sunset Moliceiro Boat Tour. 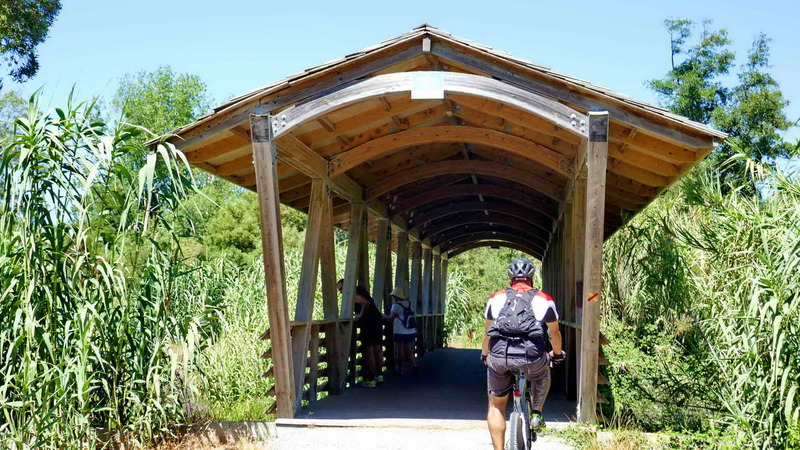 Longer tour: You can join two PortugalBike Tours and have a 2-week program. 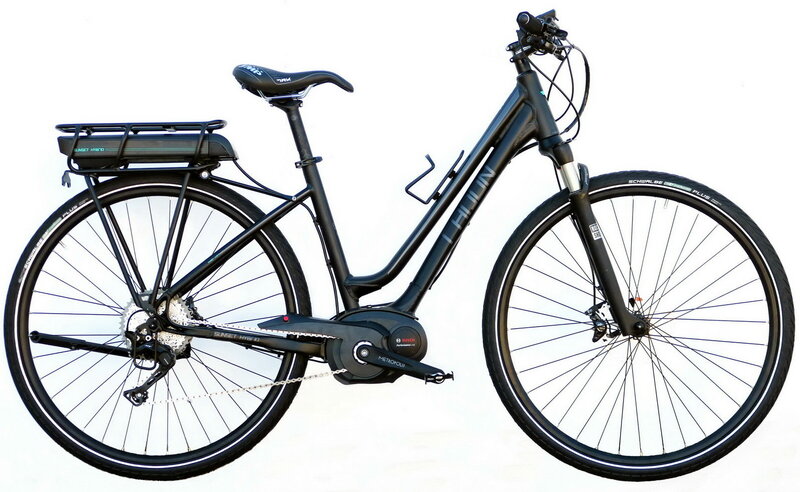 Take a look to The Historic Towns in The North bike tour (10% discount on the second tour) | Groups: Discount for Groups of 4 or more people | E-Bike rental: + Euro 150 | If you wish a different date, ask us for prices and availability. Welcome at Porto airport. 30mn drive to the down town of Porto, briefing about the tour. Dinner with the group. 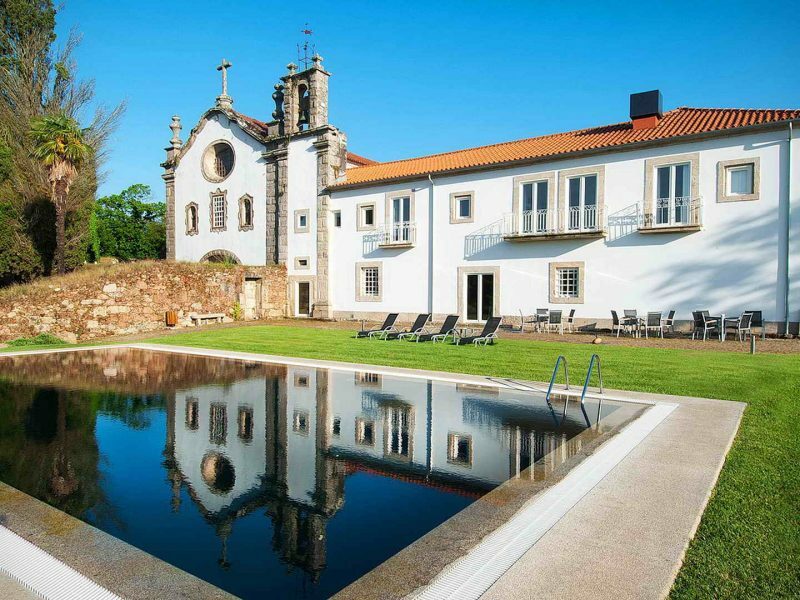 Lodging in a Hotel near the riverfront in Porto. 23km (14mi), level 1 (1.0), total climbing 100m (330ft).  After breakfast we will have a boat tour on Douro river followed by the visit of one of the cellars of the world famous Port wine. 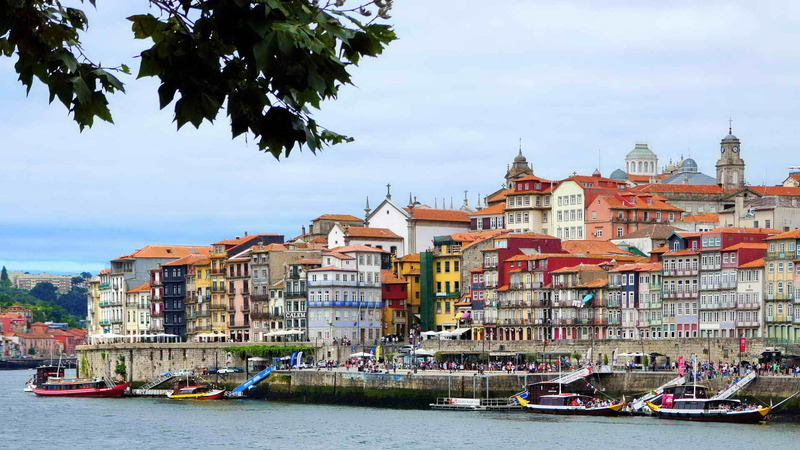 We start our bicycle tour in Porto, cycling from the river front area crossing D. Luís bridge. We continue cycling along the Douro river banks until we get to the sea. 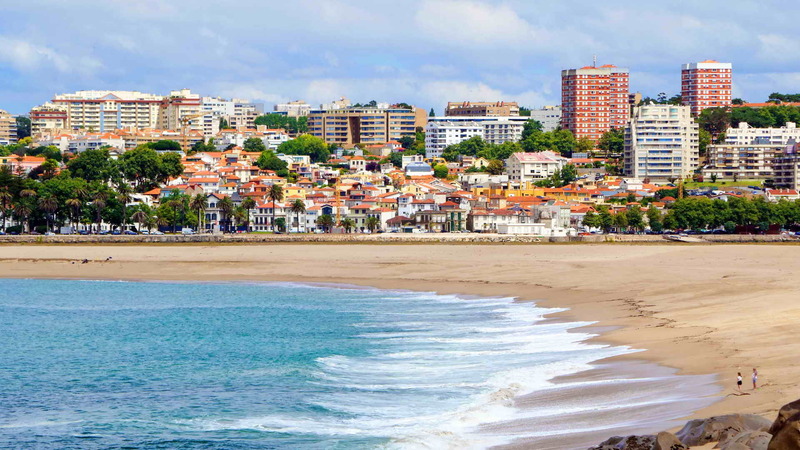 After we visit the first beach we continue along the coast, passing several beaches. 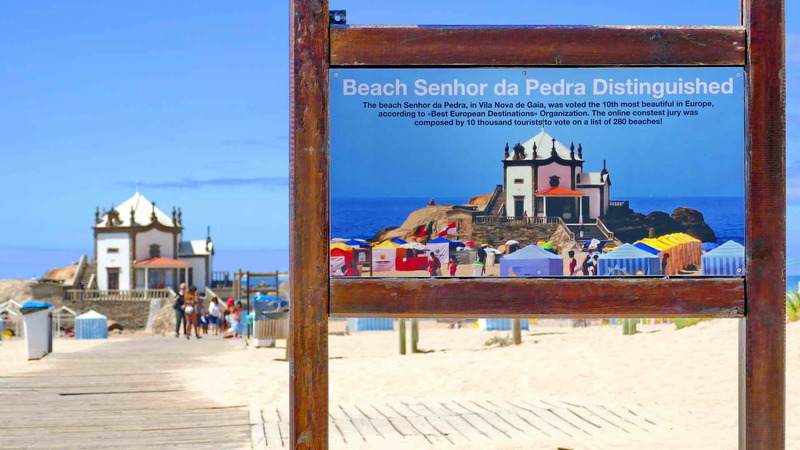 We will stop in the beach Senhor da Pedra that was voted as the 10th most beautiful beach in Europe. Time to feel the white sand on your feet. Dinner with the group. Lodging in a 5* Hotel in front of the beach. 43km (27mi), level 1 (1.0), total climbing 170m (560ft). 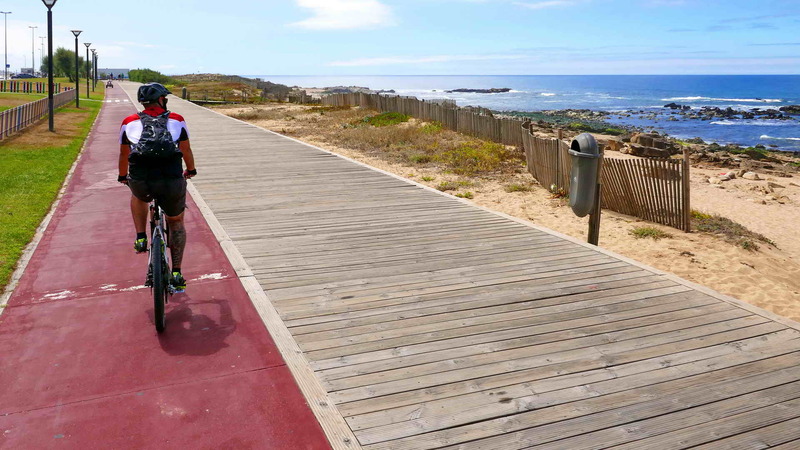 After breakfast we will continue cycling along the coast using several bike lanes on the way. One beach follows the other and finally we get to the lagoon. Dinner with the group. 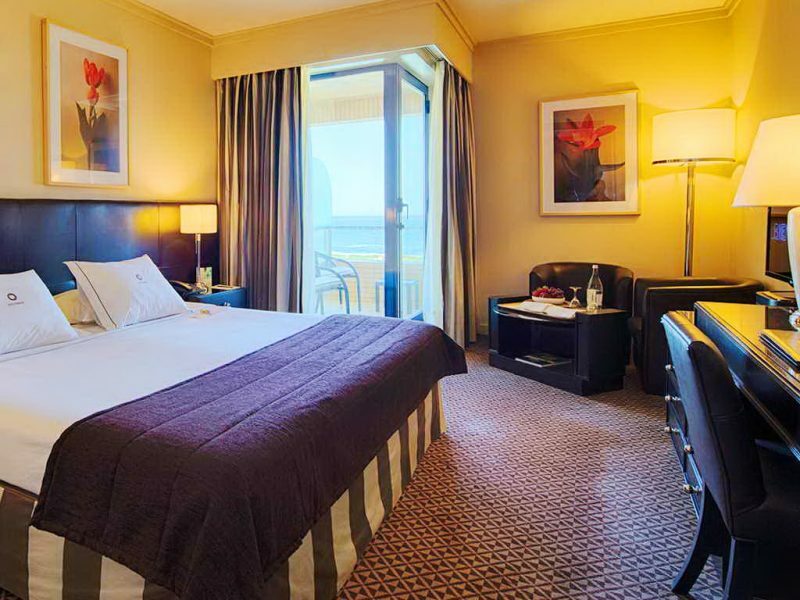 Lodging in a 4* hotel with a private beach. 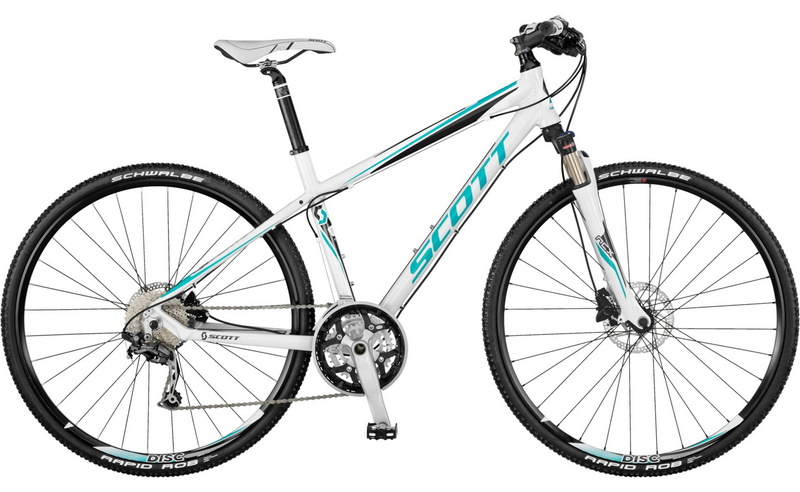 45km (28mi), level 1 (1.0), total climbing 120m (390ft). 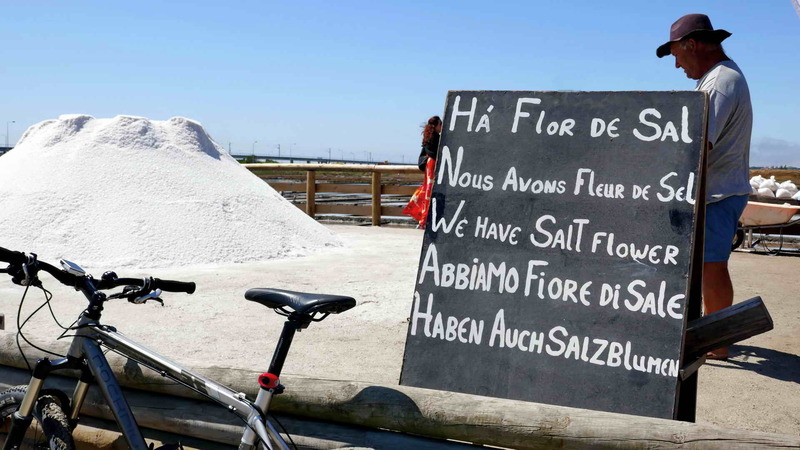 After breakfast we will ride along Aveiro lagoon, sometimes on the road, other times using bike lanes. We will cross the ferry boat to the other side of the mouth of the lagoon. We will have a stop to visit a Museum Ship that was used to fish codfish in the north sea. 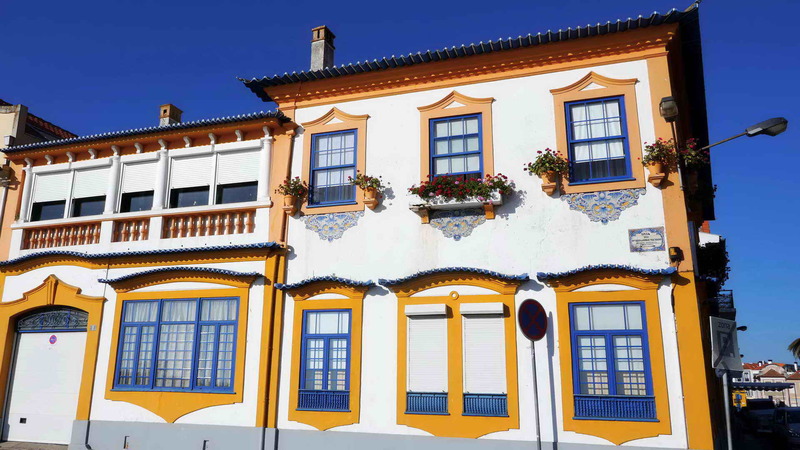 We will see the highest lighhouse in Portugal and we will visit an interesting place where old warehouses were converted into vacation houses. Dinner with the group. 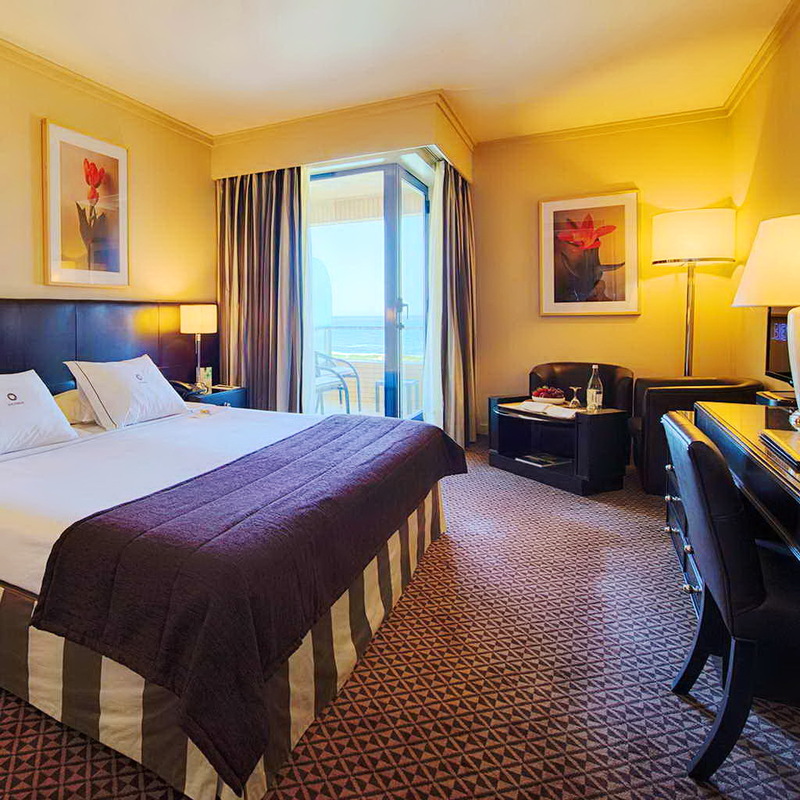 Lodging in a 4* hotel in front of the beach. 34km (21mi), level 1 (1.0), total climbing 170m (560ft). After breakfast we finally leave the coast behind and will cycle along bike lanes and forest roads until we get to a quiet place that was once an industrial center with all its social surroundings, and today it is converted into a tourist center. Visit to a Ceramic Museum. Dinner with the group. Lodging in a 5* hotel. 16km (10mi), level 1 (1.0), total climbing 70m (230ft). Breakfast. 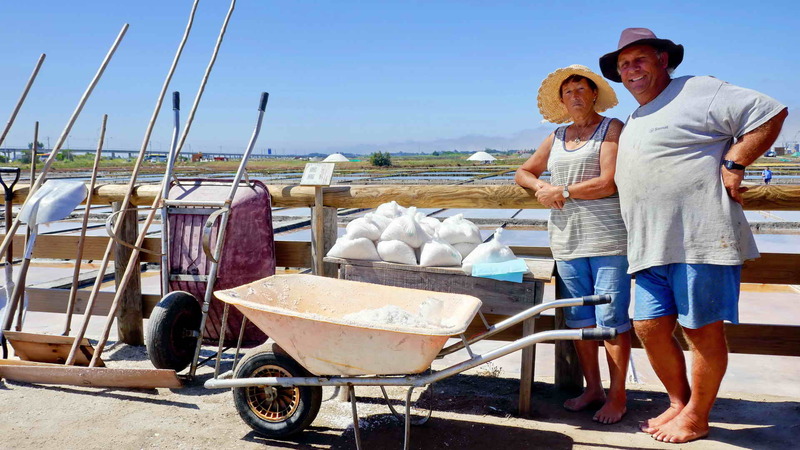 Our cycling day will be short but we will learn a lot about the main activities of this region; we will visit the salinas and we will learn about this very old activity, the extration of the salt. We will also taste the famous dessert of this region. 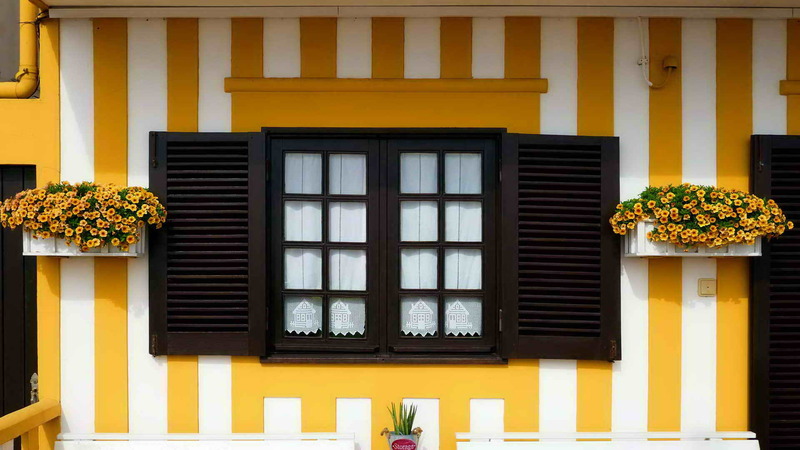 Visit the town walking and by boat. Dinner with the group. Lodging in a 4* hotel very close to the city center. After breakfast transfer to Porto airport (1-hour drive), or to Lisbon (2.5-hour drive). 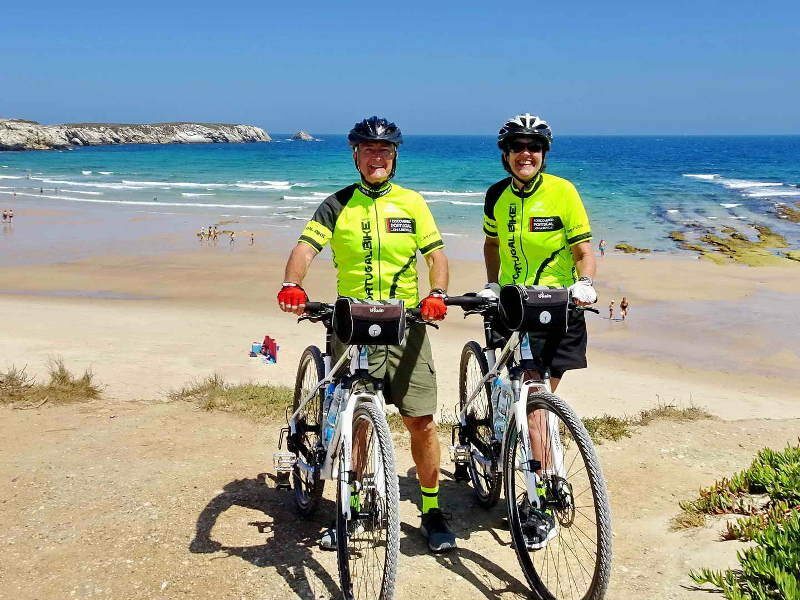 Participate On this PortugalBike Tour and be the first to share your experience with other people!